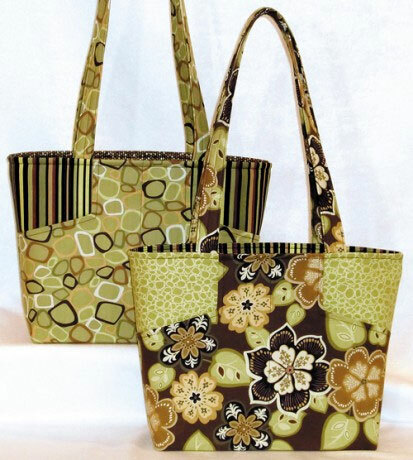 The Margo Handbag pattern features a delightful, secure zip-top closure that safely nestles 1” from the top edge of the bag. Achieve this crisp, professional finish with Joan's LazyGirl innovative Dip-Down Zip-Top technique using a polyester all-purpose zipper. 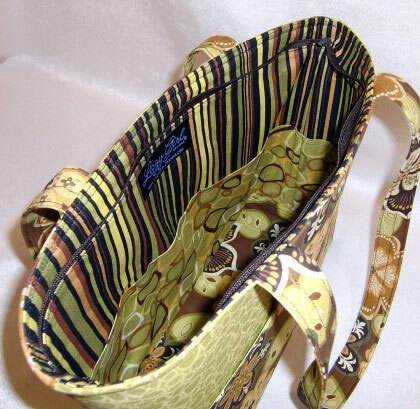 2 handy outside plus 6 inside pockets to keep you organized. 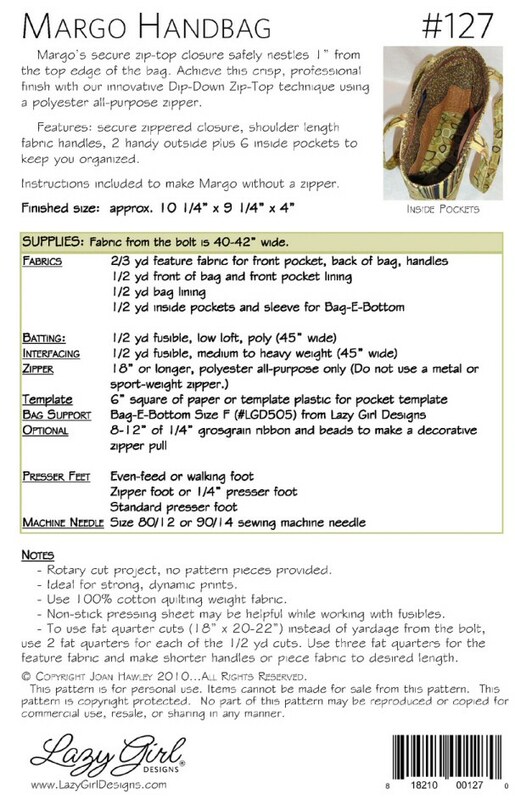 Instructions are included to also make Margo without a zipper, if desired. 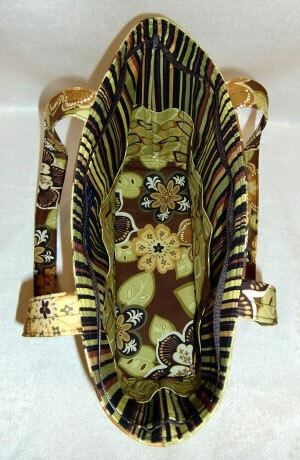 Zipper - 18" or longer, polyester, absolutely no metal zippers. Truly, no metal zips. 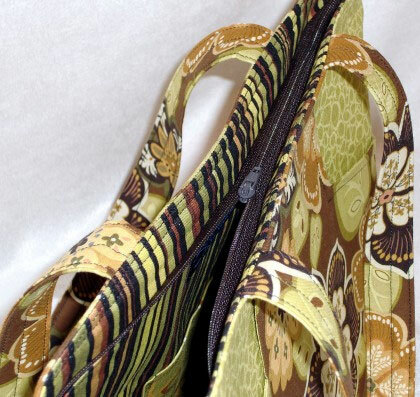 The zipper is longer than the bag and we need that extra length for this technique. 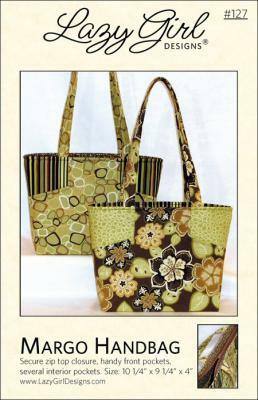 1/2 yd fusible interfacing such as Pellon Decor Bond for the bag lining.